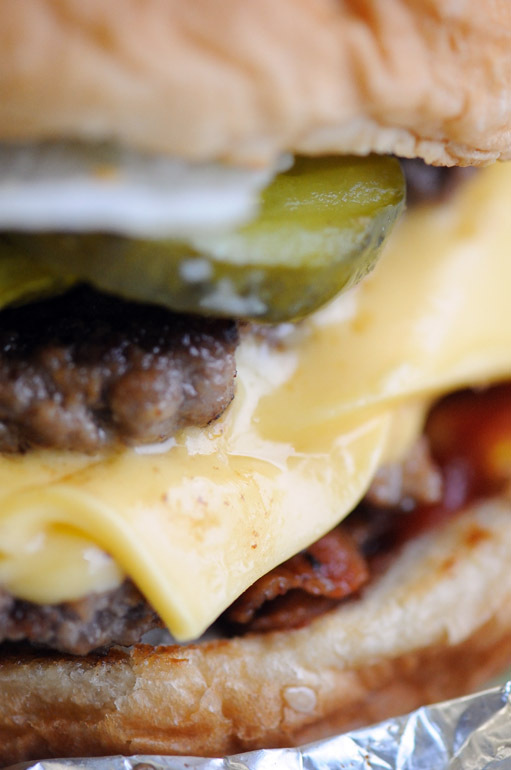 Five Guys Burgers and Fries opened a second Brevard County location, in Viera, during the week of Christmas. 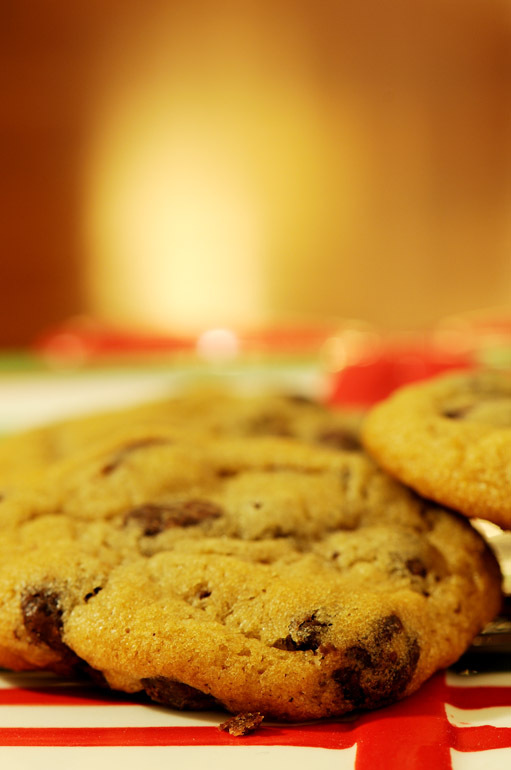 It's much closer to me than the Virginia-based franchise's first location on the Space Coast, in West Melbourne, so I expect that any New Year's resolution I make to abstain from fatty foods will not last long. I ate Thanksgiving dinner at a co-worker's house, where a more Southern-style meal was served. 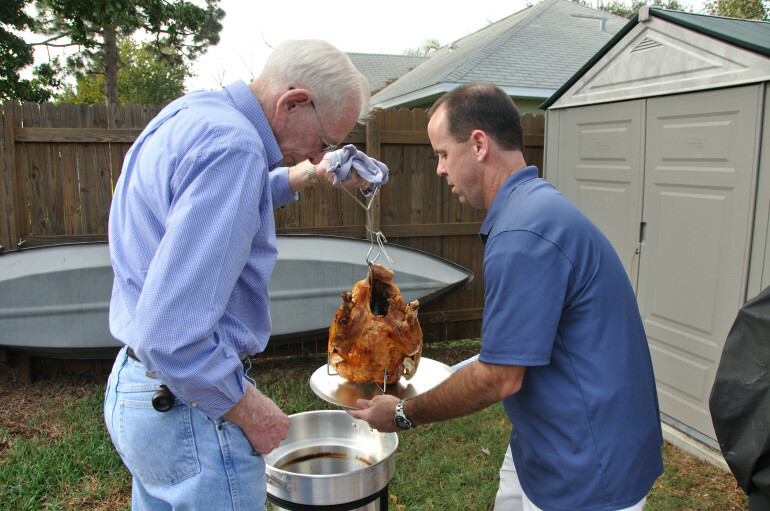 Above, the chefs pull the turkey out of a fryer. It was my first fried turkey, and I must say it was quite good. The meat itself is similar to that of a bird cooked in an oven, but the skin reminds me of the extra crispy chicken at KFC. Now that we're on the verge of 2010 - but not a new decade, which starts in 2011 - I'm posting some final photos from 2009, and both have of these have to do with food. 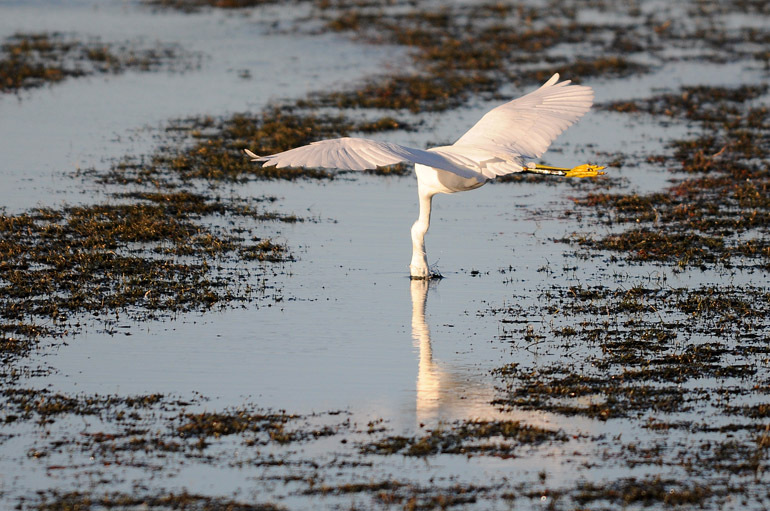 In a pose I have never seen, an egret sticks its head under the water in search of fish while flying along at full speed. 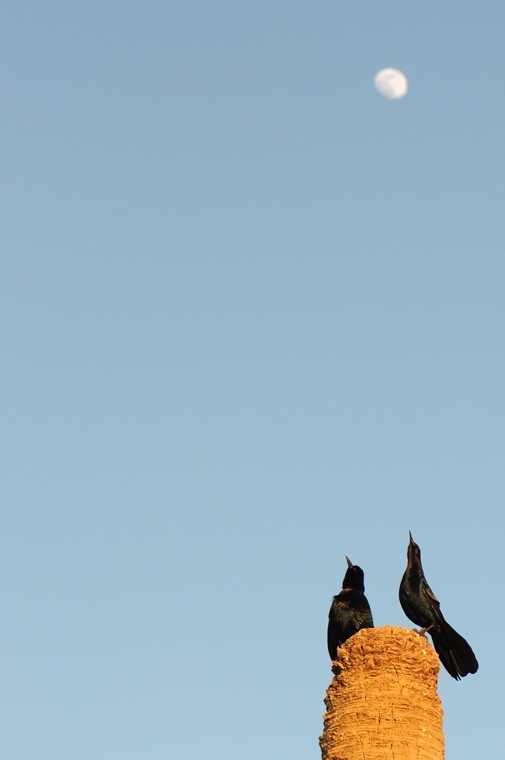 Grackles howl at the moon from the top of a palm tree stump. I was driving through Viera on Monday when I decided on a whim to drive through the Ritch Grissom Memorial Wetlands, a man-made habitat for birds, alligators and other critters. 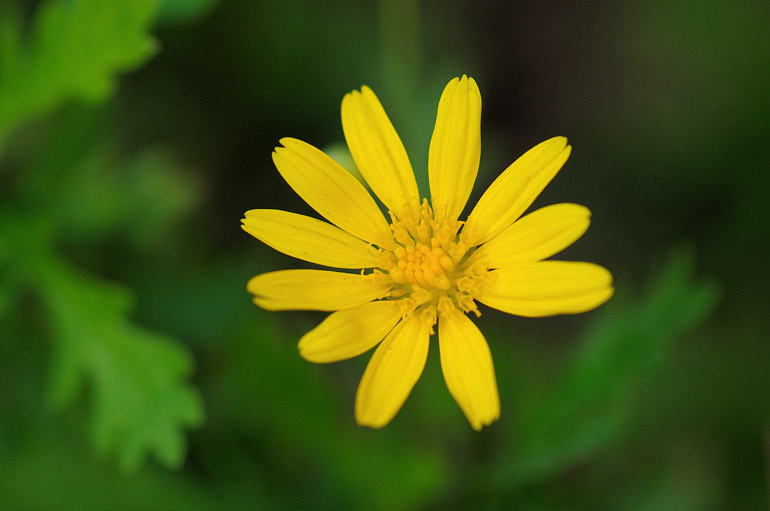 The land is nourished by treated wastewater from a nearby facility. The sanctuary is popular during this time of year. It consists of a series of connected dirt roads along several different "cells" of water, particular ones of which are usually dominated by a certain species. I suspect that a combination of the snowbirds being back in full force and the holiday week made this Monday a busy day for birdwatchers and photographers at the wetlands. I came away with a bit of a different look at the wildlife there from the first time I visited the habitat. 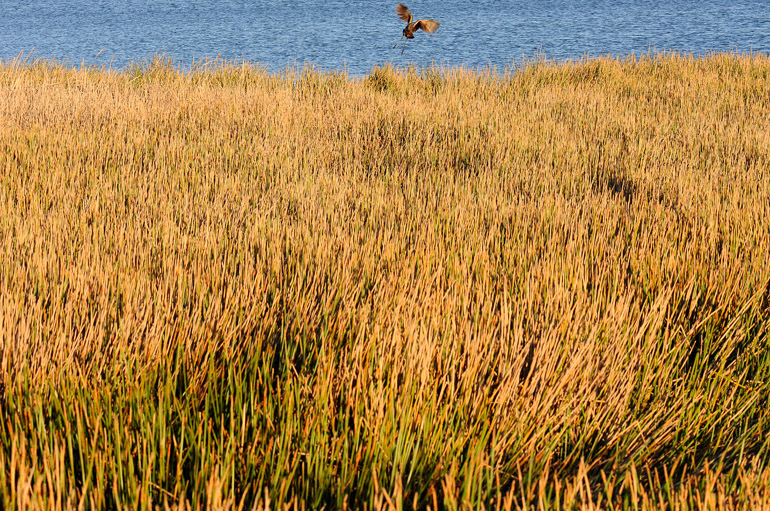 An American bittern takes off among high water grass, which browns this time of year. 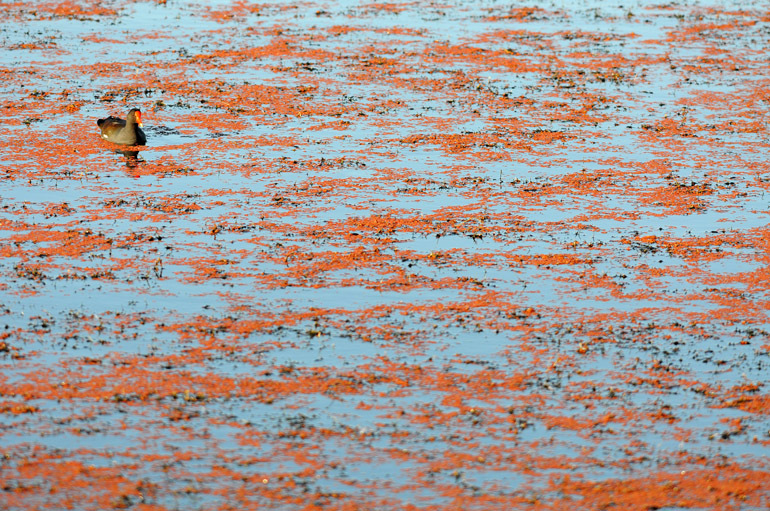 A gallinule swims among some sort of red algae. 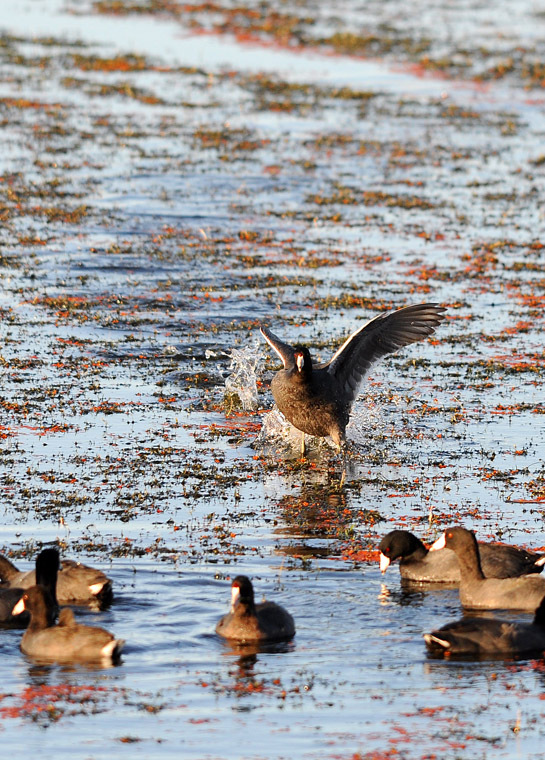 This coot decided to join the feeding frenzy. 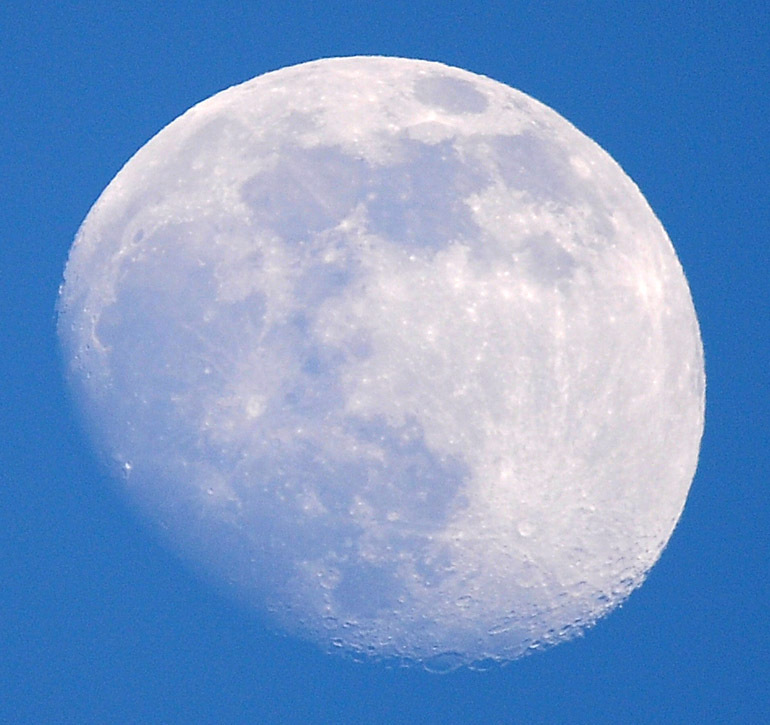 The moon hangs in a brilliant blue sky. 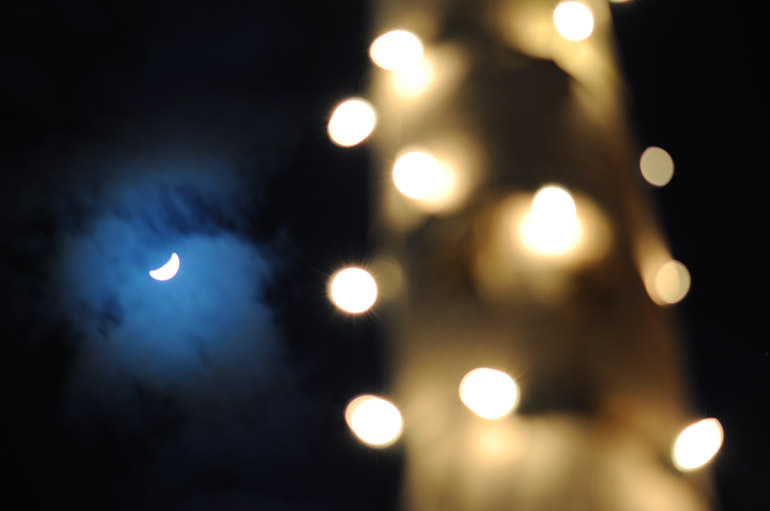 Speaking of blue and moon: There will be a blue moon on New Year's Eve, the first New Year's blue moon since 1990. 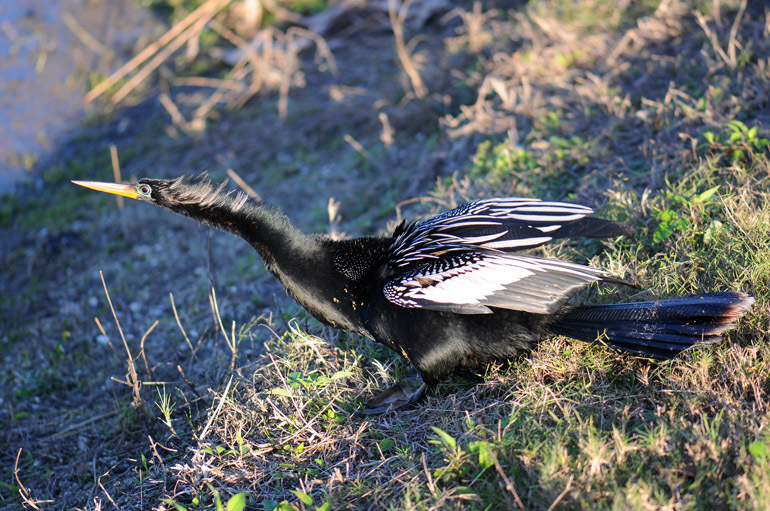 I got about five feet from this anhinga. 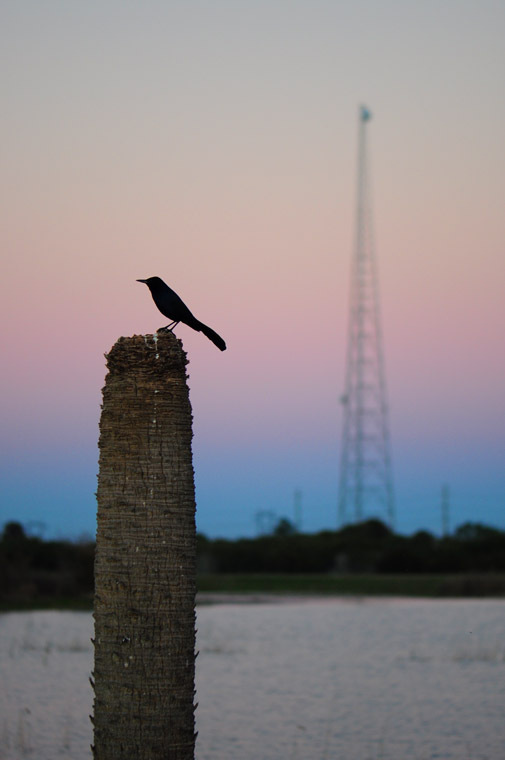 A grackle at twilight, with a tower featuring lightning detectors in the background. 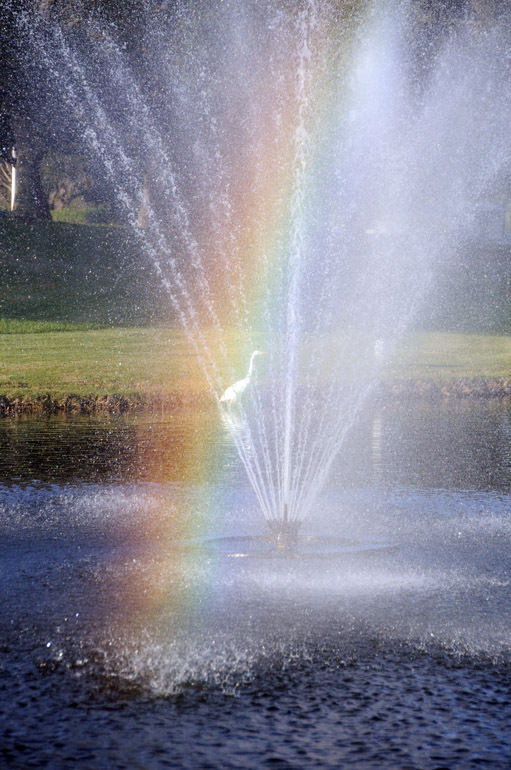 Egrets feed around the Viera fountain, which creates a rainbow in the setting sun during a very clear day last week. 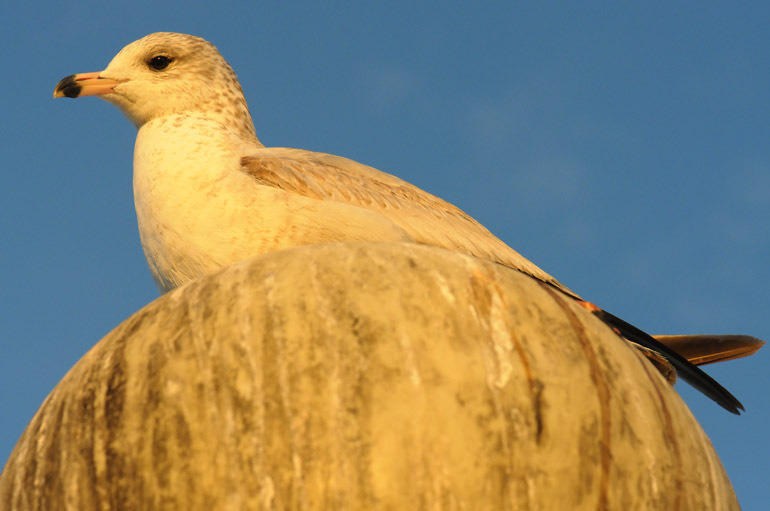 With the winter upon us here in Florida, the many birds that spend summers up north have returned. 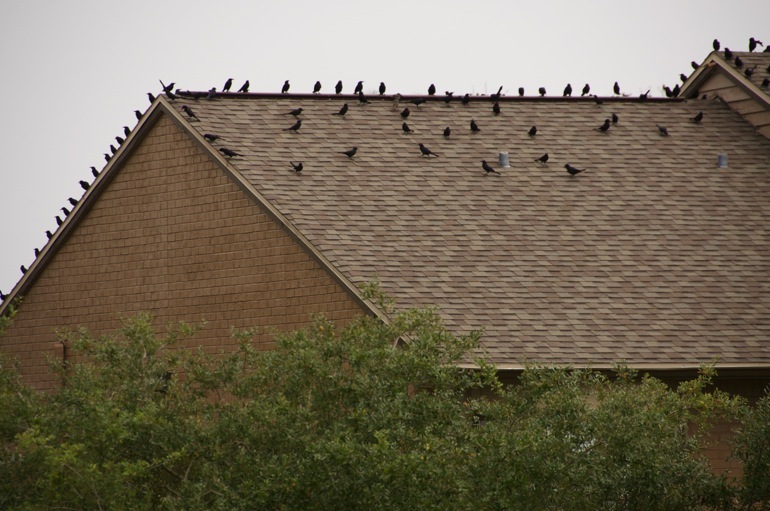 These grackles are here all year, but they tend to flock together and be much more annoying in the winter months. 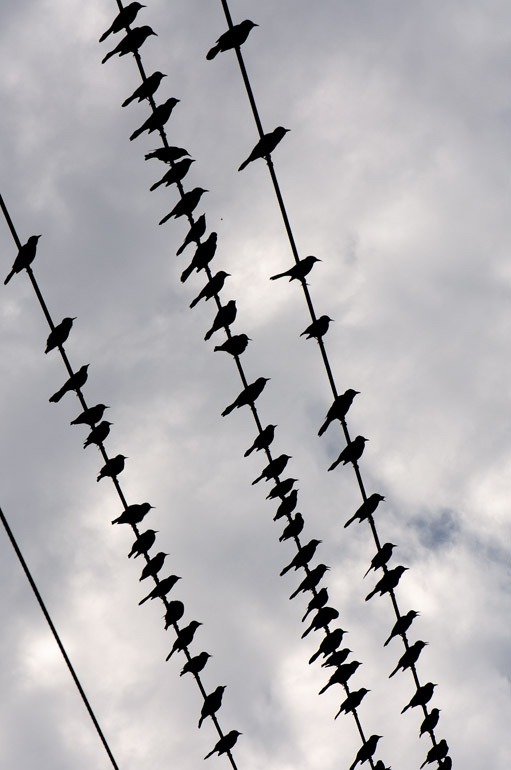 Hundreds were perched on the wires outside my bank as I went to cash a check the other day. And this flock of grackles took a liking to the roof of a building in my apartment complex early one morning - waking me up, of course. 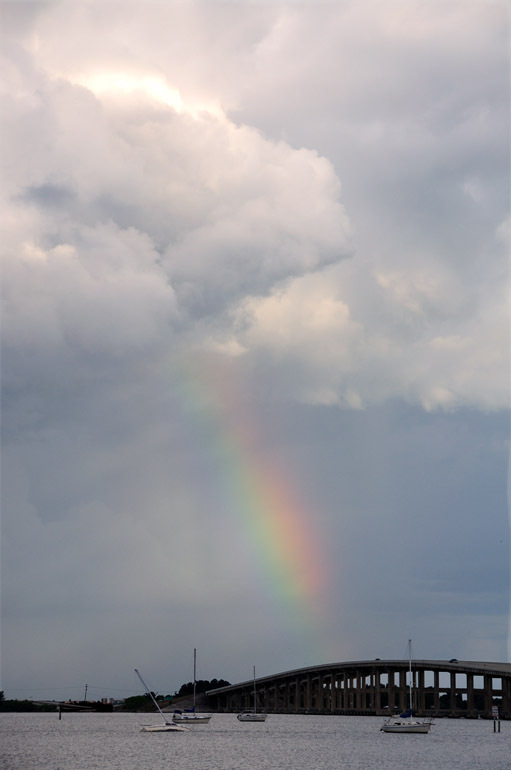 A rainbow appears behind Pineda Causeway in Palm Shores on Friday, as I was heading to work the Christmas holiday. 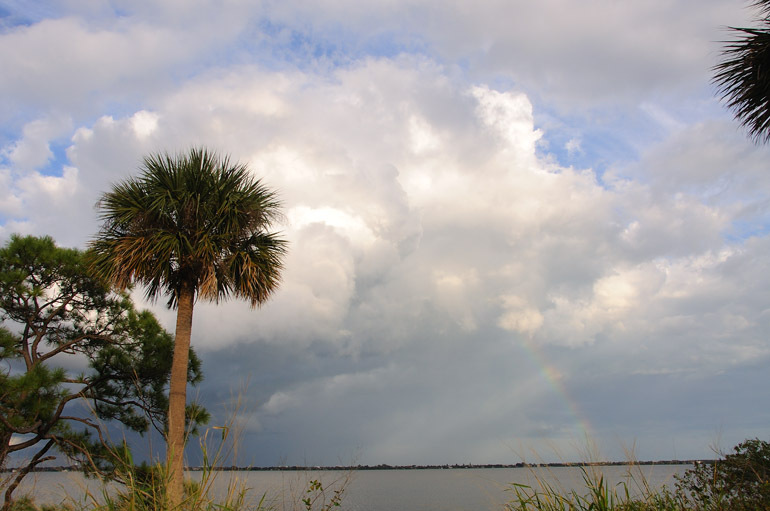 The partial rainbow appeared under a rather large cloud associated with a front that moved across Florida on Christmas Day. 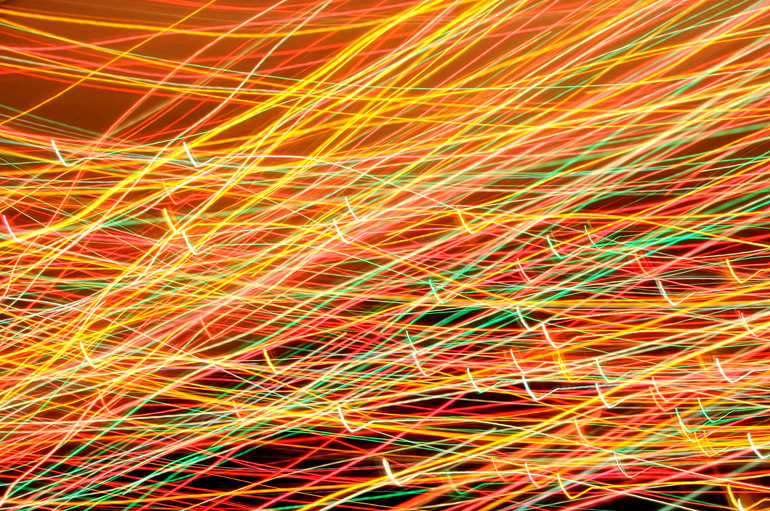 A string of colorful icicle lights is featured in this long exposure in which I held open the shutter while pointing the camera at the lights and walking parallel to them. This image was made in Cocoa Village. 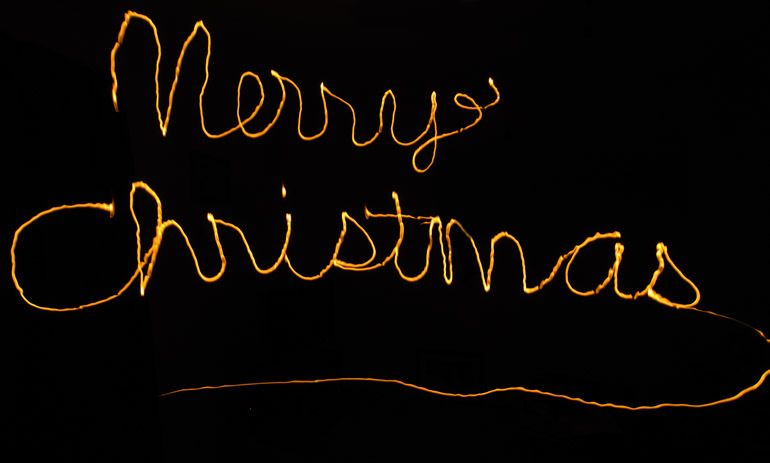 I've taken lots of Christmas-themed photos in the past 20 days leading up to the holiday itself. Now that Christmas is here, I'm dumping into one post the ones that didn't make the cut. 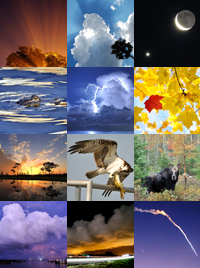 There were several times when I couldn't decide which photo to use, and I eventually started simply posting several in one edition just to stop my agonizing. 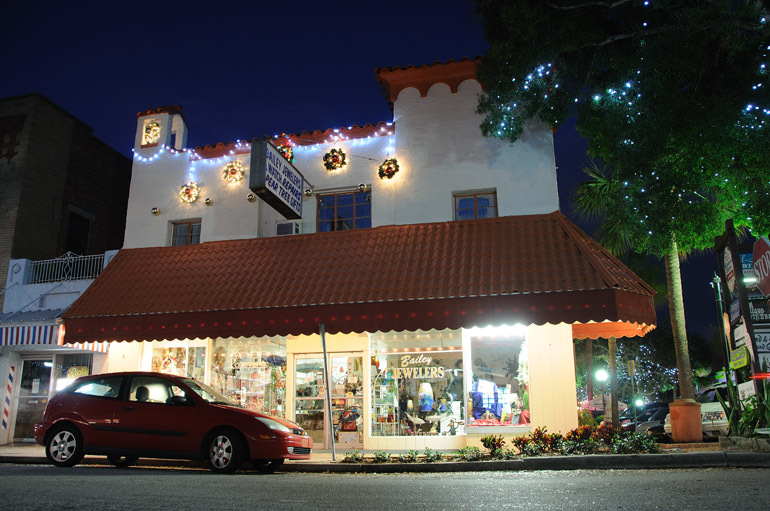 The front of Bailey Jewelers in Cocoa Village is lit during twilight. 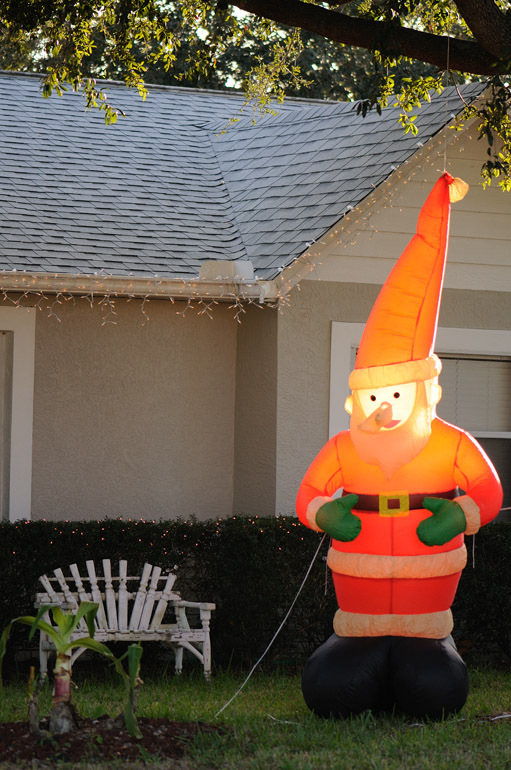 An inflatable Santa is lit by late-day sun in a Melbourne neighborhood. 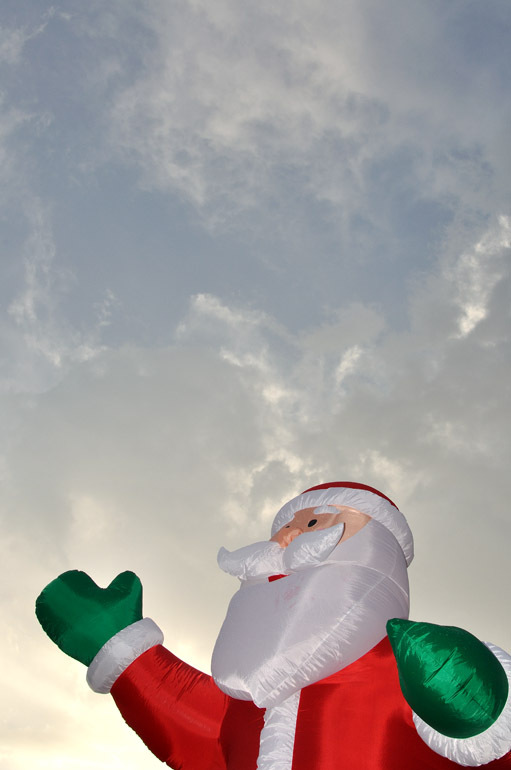 Rain clouds provide a backdrop for an inflatable Santa set up in the lot of a used-car dealership near the intersection of NASA Boulevard and Wickham Road in Melbourne. 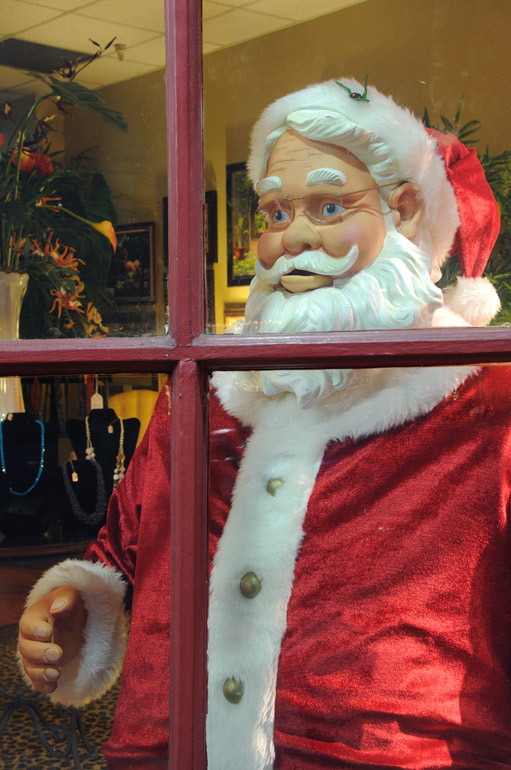 Santa Claus peers through a window of a shop in downtown Melbourne. 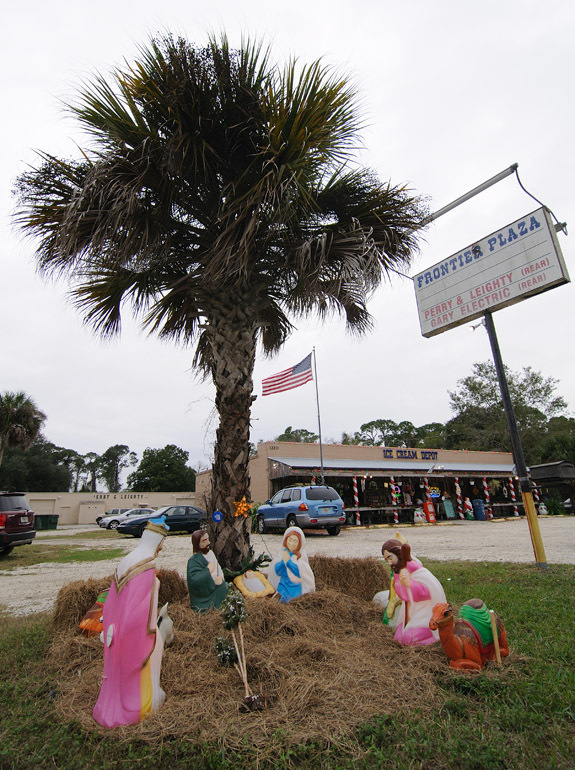 A nativity scene is set up in front of the Ice Cream Depot on Wickham Road in West Melbourne. This is a horizontal version of a photo I did use, here. 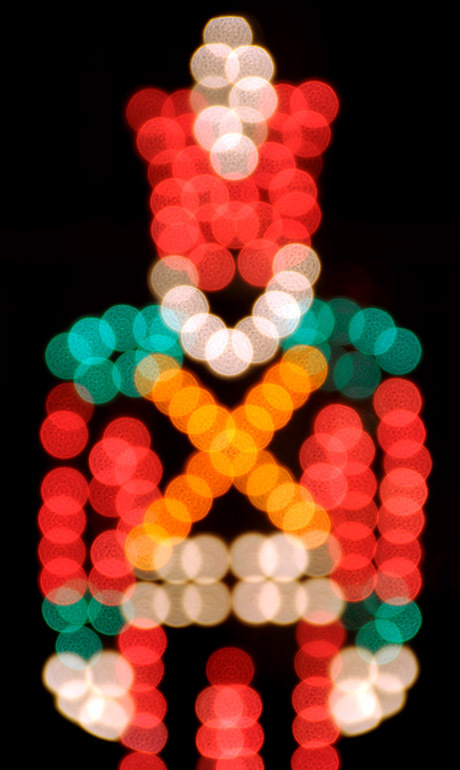 A Christmas soldier is seen out of focus to accentuate the lens' bokeh. 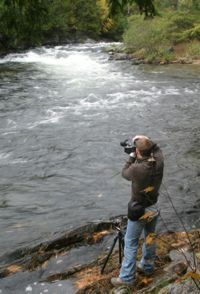 Photography sometimes requires inventiveness when there's not much a shot to be had. That's the problem I was coping with when I saw a rainbow form but had difficulty spotting something that represented Christmas. 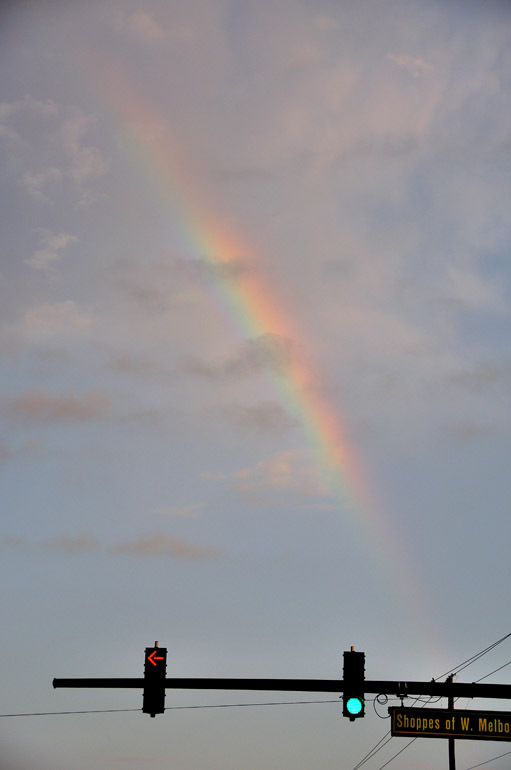 The object was to get a Santa or a faux snowman with an arcing, Florida-typical rainbow in the background. Alas, I had no such luck as I was driving through West Melbourne during a light rain shower late in the day. The best I got was a stoplight with Christmas colors: red and green. 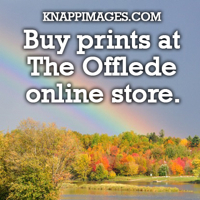 I stopped at a place selling Christmas trees, too, but the rainbow wasn't as prominent by that time. 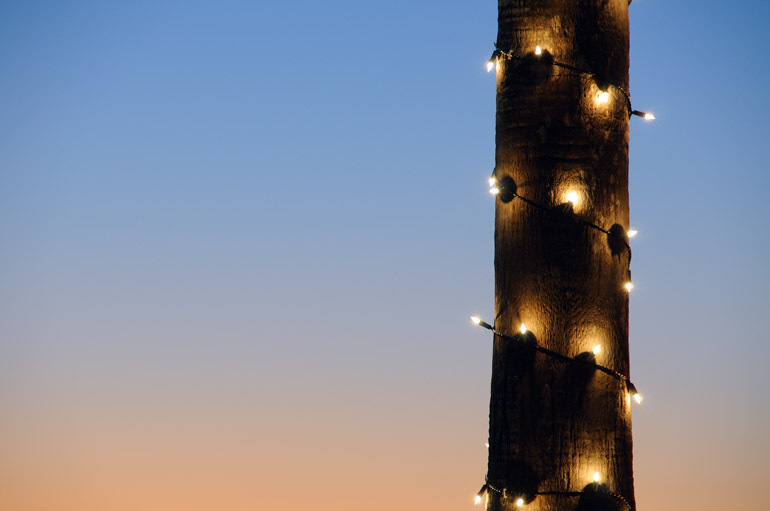 A crescent moon appears above decorated palm trees in Viera, just as the sun sets Tuesday. 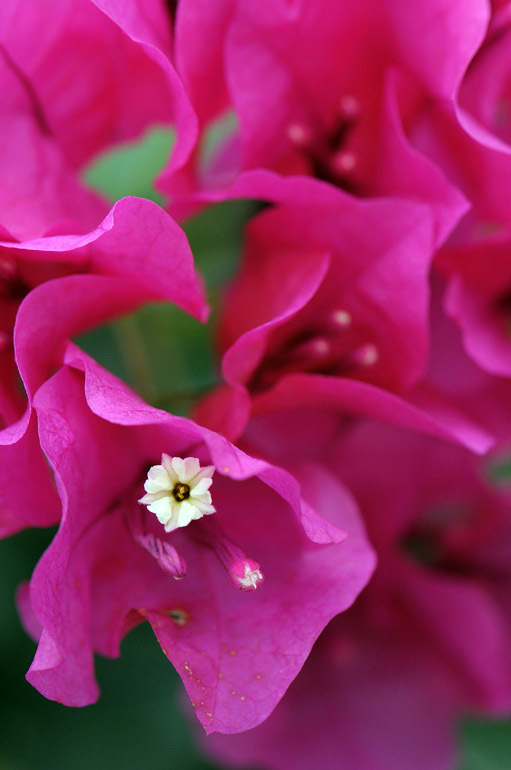 Focusing on the colorful background Tuesday. A moon thinly veiled by clouds Tuesday evening. The stand of palms at sunset Monday, just to give you a little context. 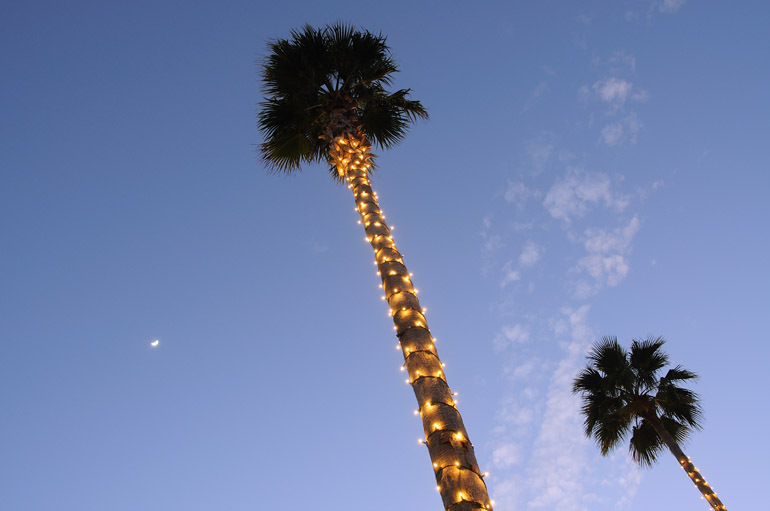 I never ceased to be amused - and sometimes, amazed - when I see palm trees decorated with Christmas lights. 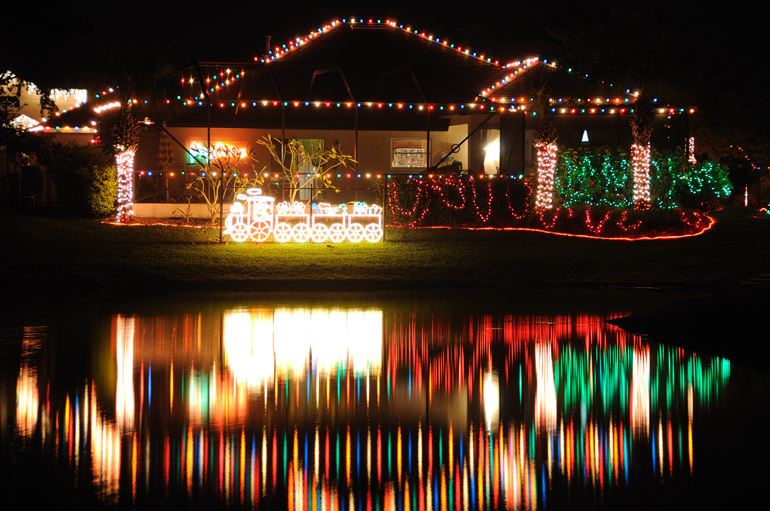 Such a sight truly is the quintessence of Christmas in Florida. 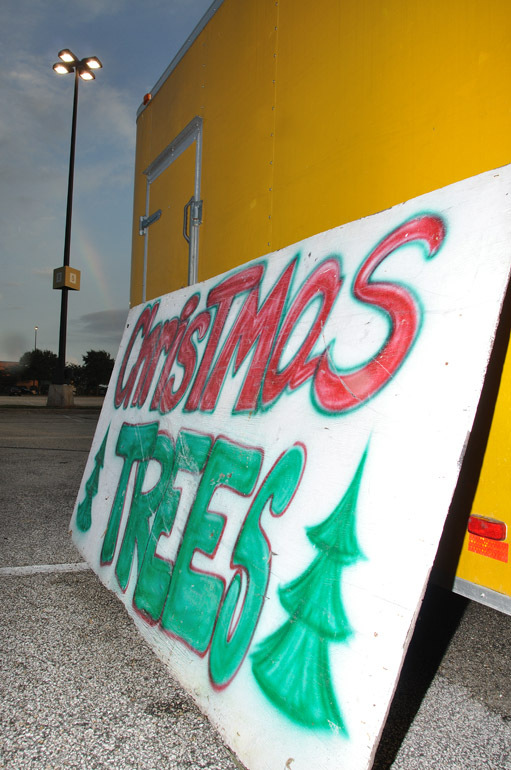 The trunk is most often the thing that is decked out, while the canopy itself creates a bit of a challenge for people stringing up the lights: You can't just throw them on like you can do with most evergreen trees that grow up north. 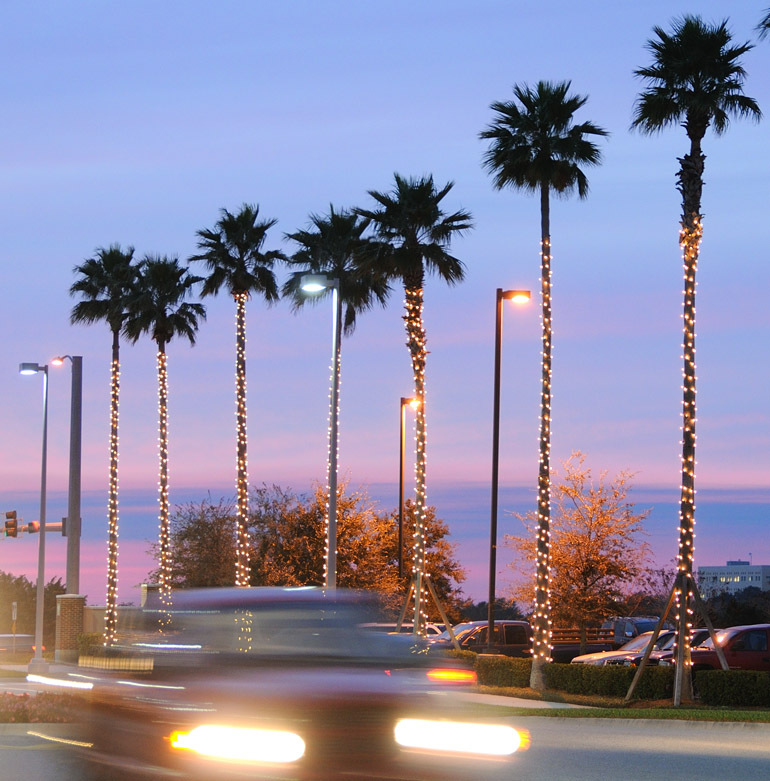 In this edition, I focus on the trees at, once again, The Avenue Viera, an outdoor shopping mall full of similar cheesy sights throughout the year. 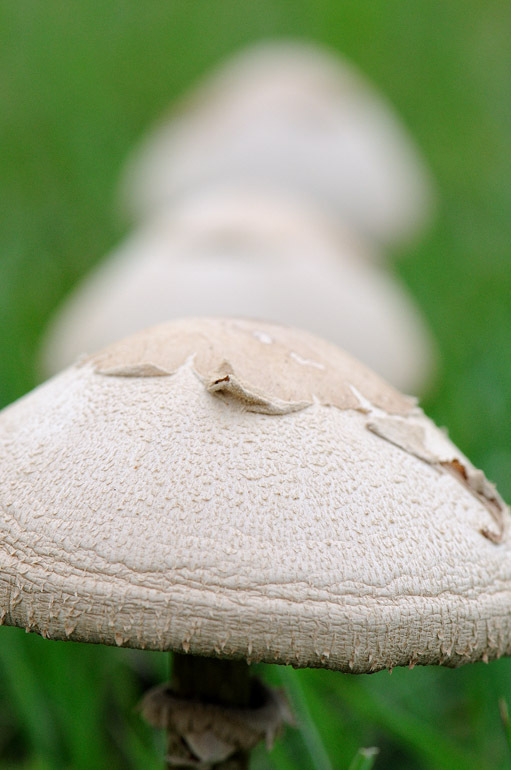 This row of three mushrooms was between Melbourne's Turtle Mound Road and a white picket fence. 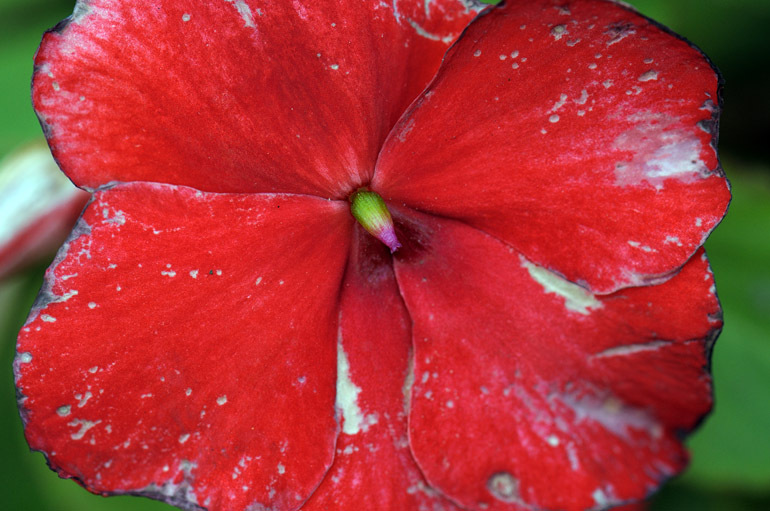 To test my new 105mm macro lens, I ventured out in my car Tuesday, finding subjects alongside Brevard County's roadways. 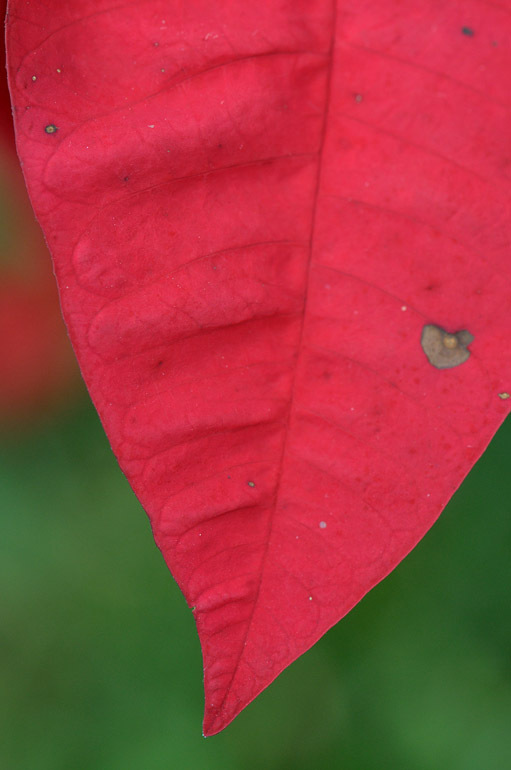 But in shooting such brilliant colors, I've found that my Nikon tends to oversaturate some shots. I'll figure that out soon enough. While shooting the mushrooms along Turtle Mound Road, a street lined by horse farms and large homes, the homeowner came out and took a few of his own shots. He asked if I knew what kind of mushrooms they were. I didn't. 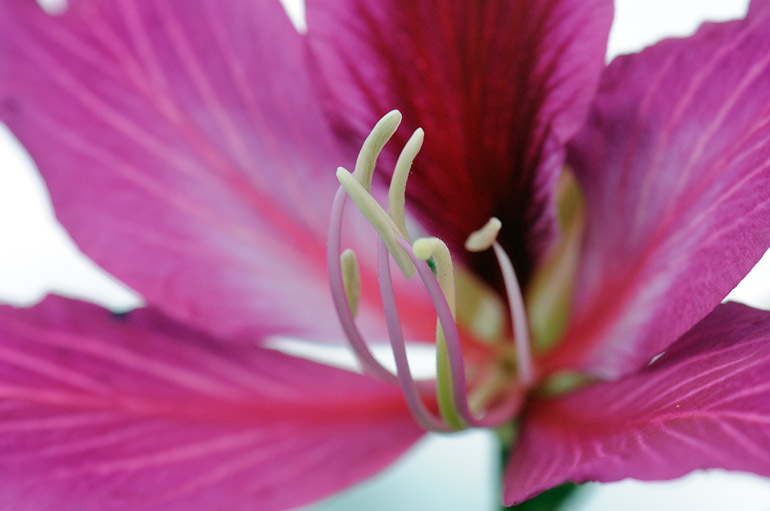 Then he said I could walk inside the fence and take some photos of his orchid. 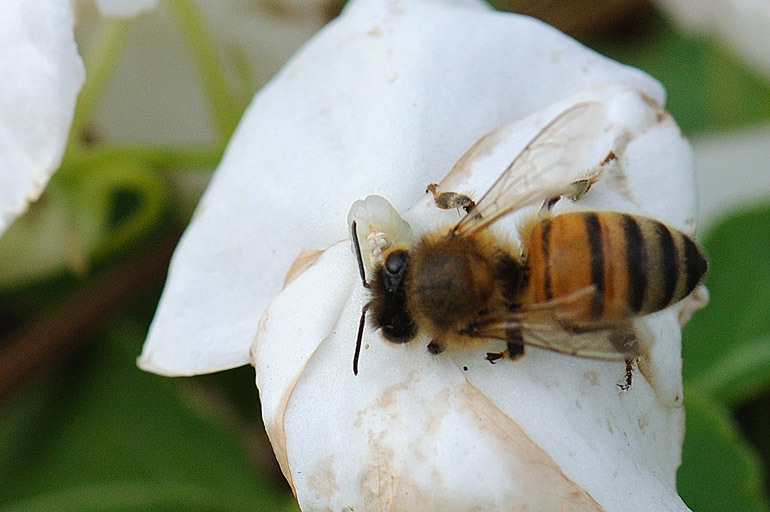 A bee lands on a flower that's part of a display in front of a subdivision sign on Parkway Drive in Melbourne. 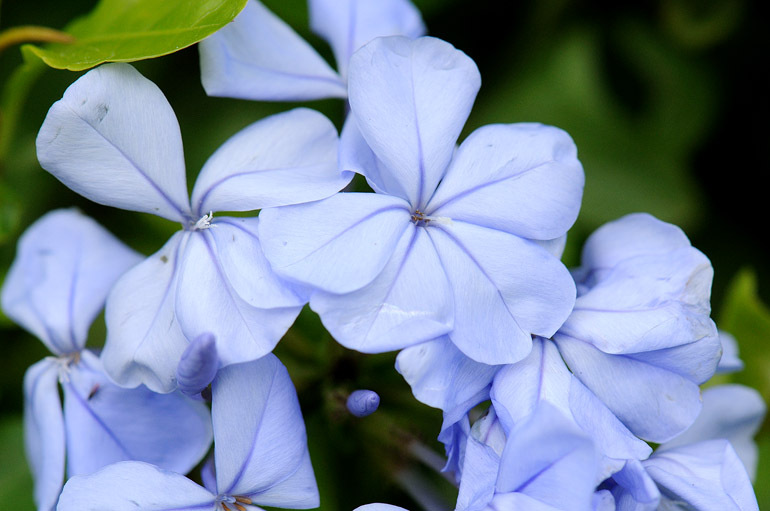 More flowers from the Parkway Drive location, no far from my home. These were in front of a large home on Parkway Drive. These yellow ones were in front of a store on Lake Washington Road in Melbourne. 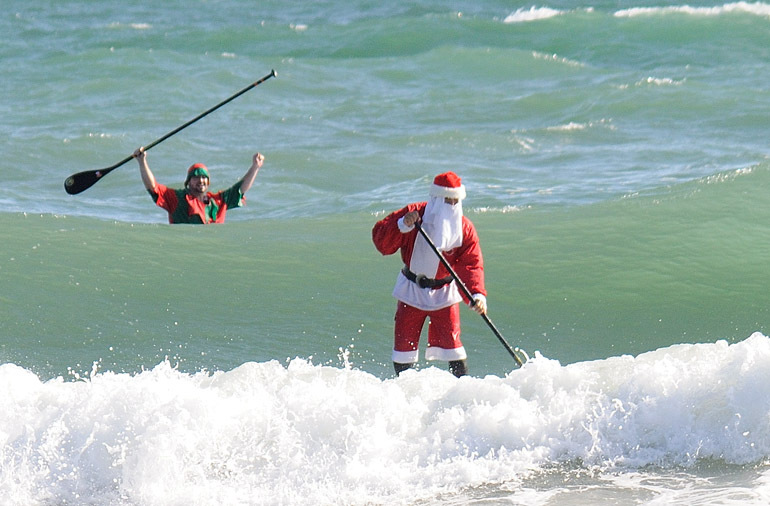 This surfer in Cocoa Beach was catching wave after wave, so I caught several shots of him. 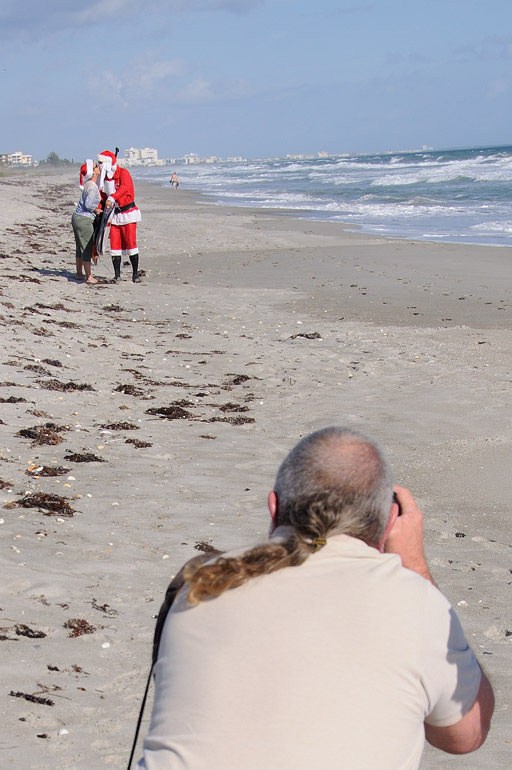 Last week, while searching for Christmasy photos and riding my motorcycle, I stopped to check out the beach. I saw that the waves were providing some fun action for surfers. One of them, also a fellow photographer, noticed my big lens and said he had been out shooting earlier, too. 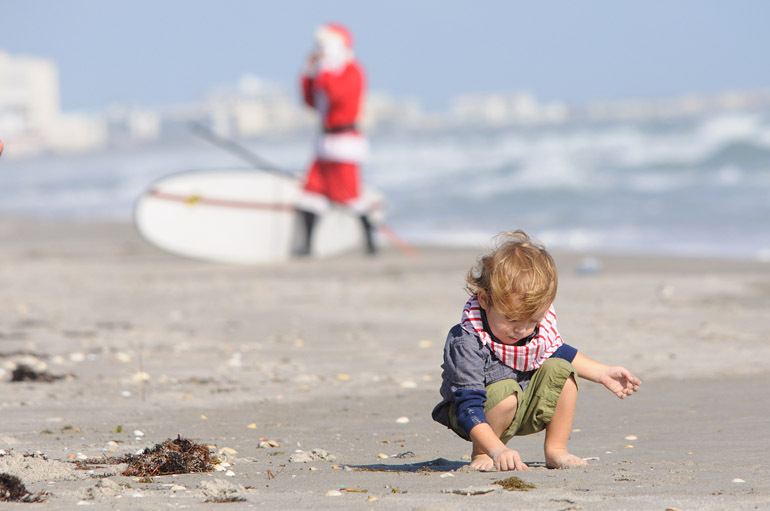 After that strange fog rolled through Brevard County, he said, the surf was about head-high and smooth. I took plenty of shots. The setting sun makes for golden surf, hence the name of the hour around sunset. 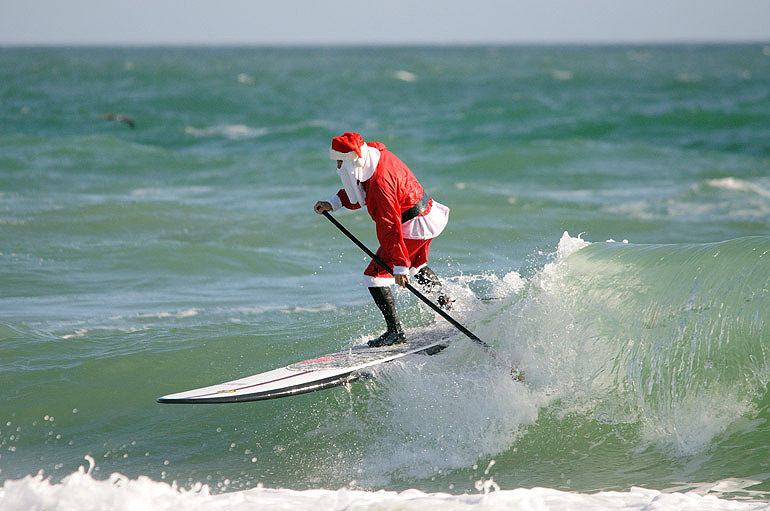 The surfer scoots up on his board. 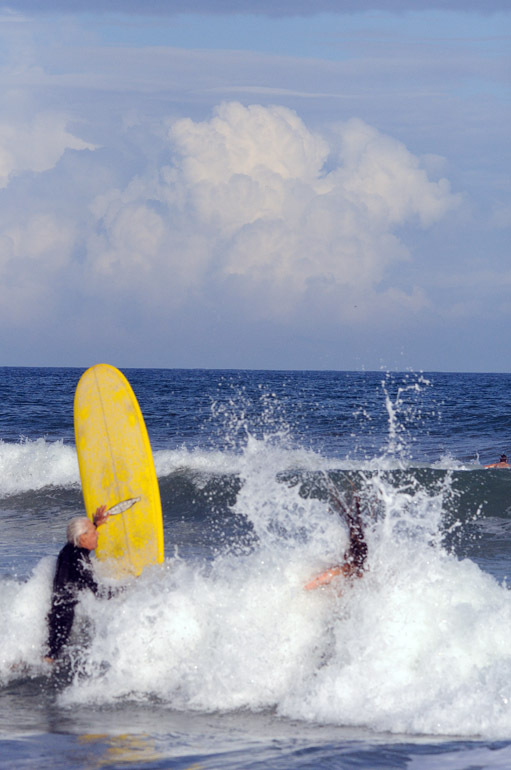 A skimboarder gets a piece of the action. Skimboarders start on the beach instead in the water. 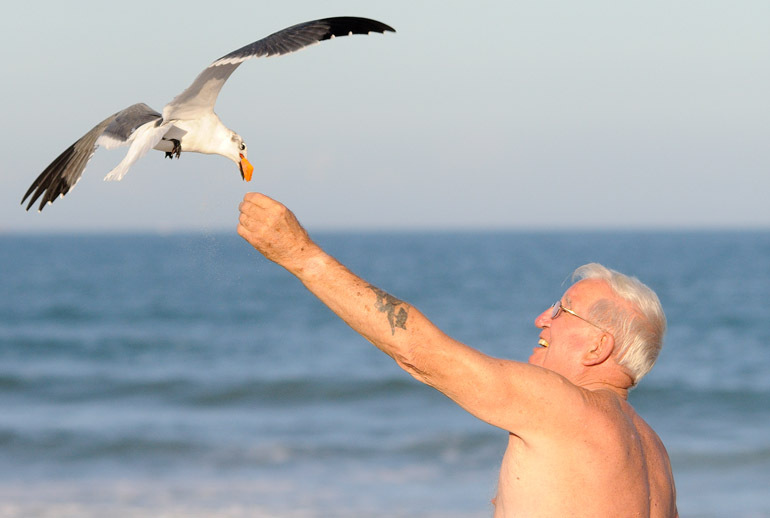 A beach lounger feeds a gull on Cocoa Beach. 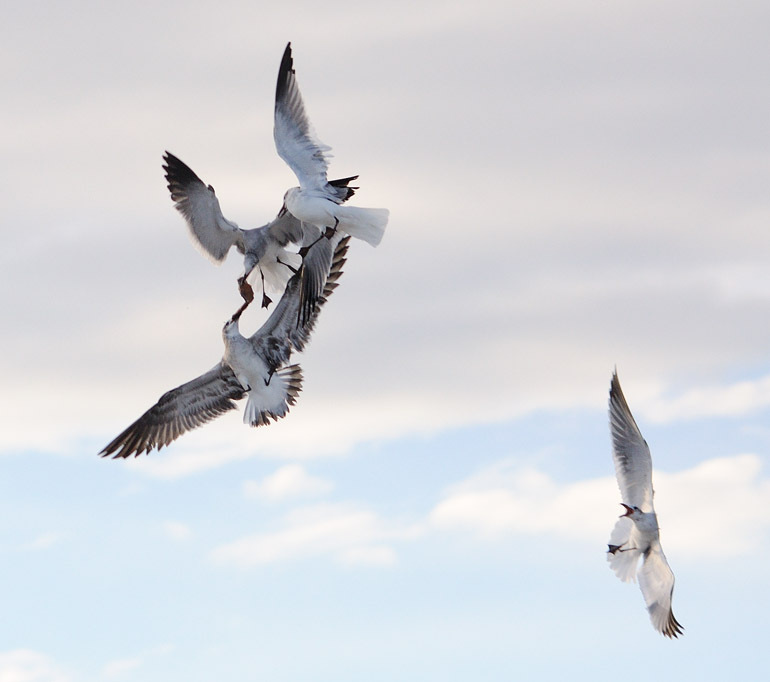 Even for gulls, Cheez-Its are worth fighting over. 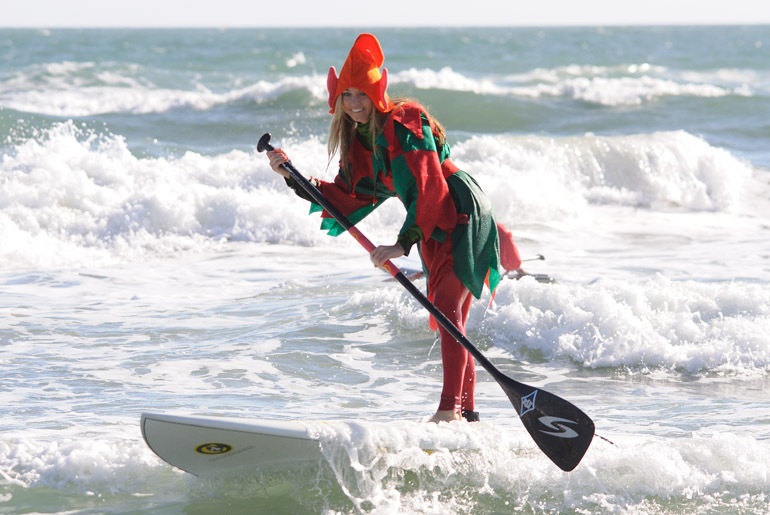 Earlier, I stopped at the beach near Patrick Air Force Base and caught this young lady having fun with the crashing surf. 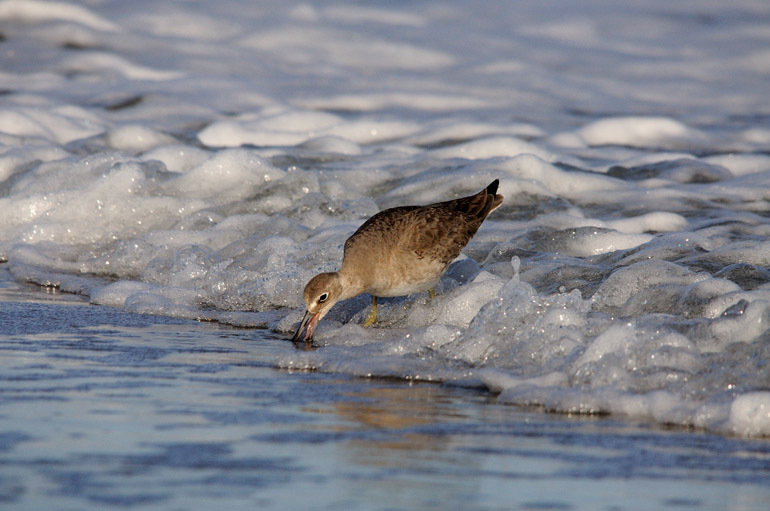 Most of the birds are back from up north, so we're seeing many flocking around Brevard County. More of the crashing surf. 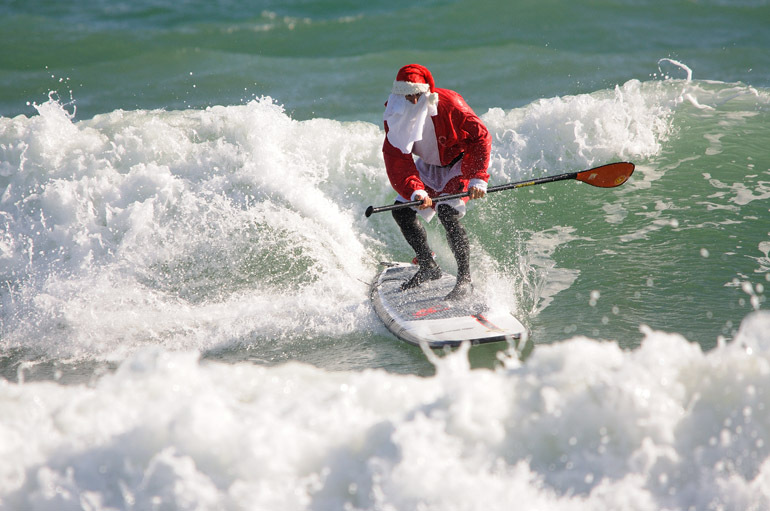 A surfer off Patrick Air Force Base beach catches a nice wave. What's that old guy looking at? 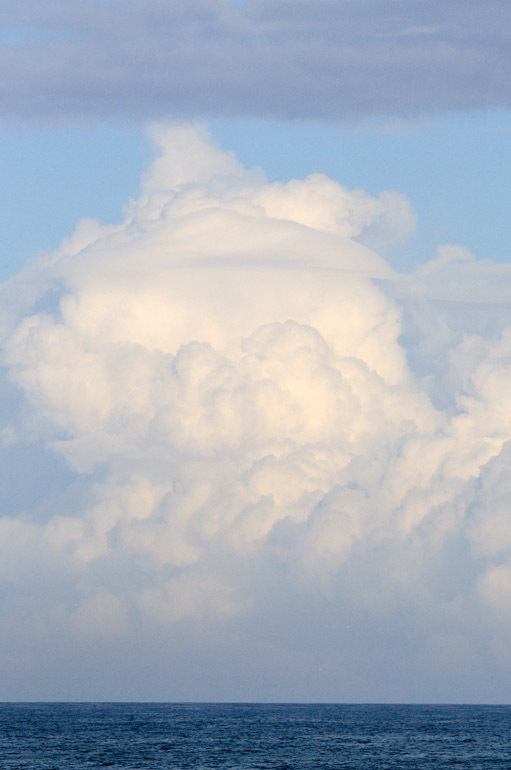 After the fog rolled in last week, the weather offshore still was interesting, which is apparent in these golden clouds complete with the pileus formation. 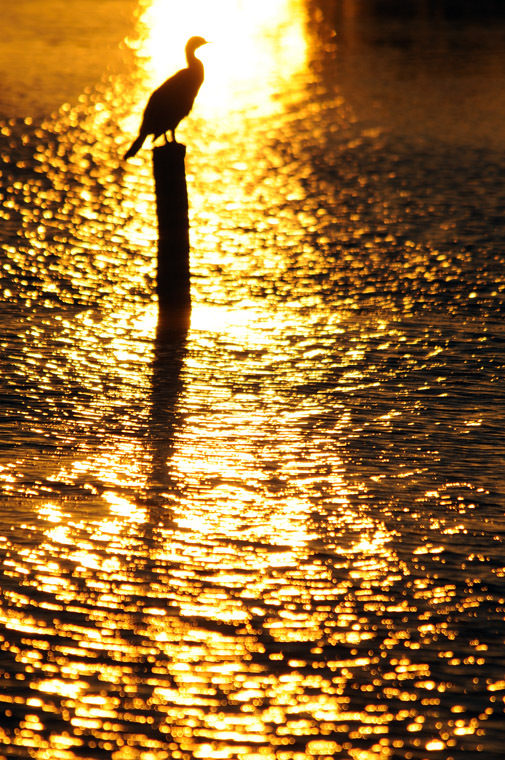 A golden gull during the golden hour.